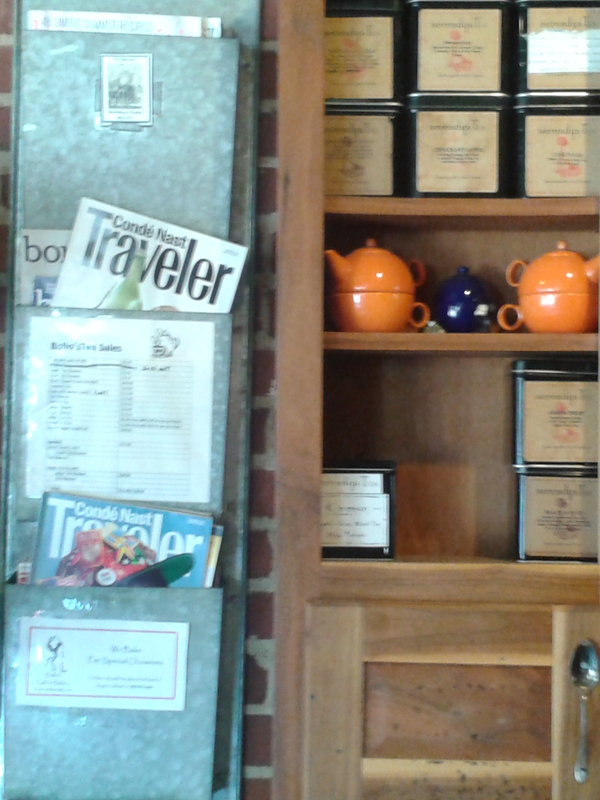 It is no secret that my favorite coffeeshop is Bollo’s. 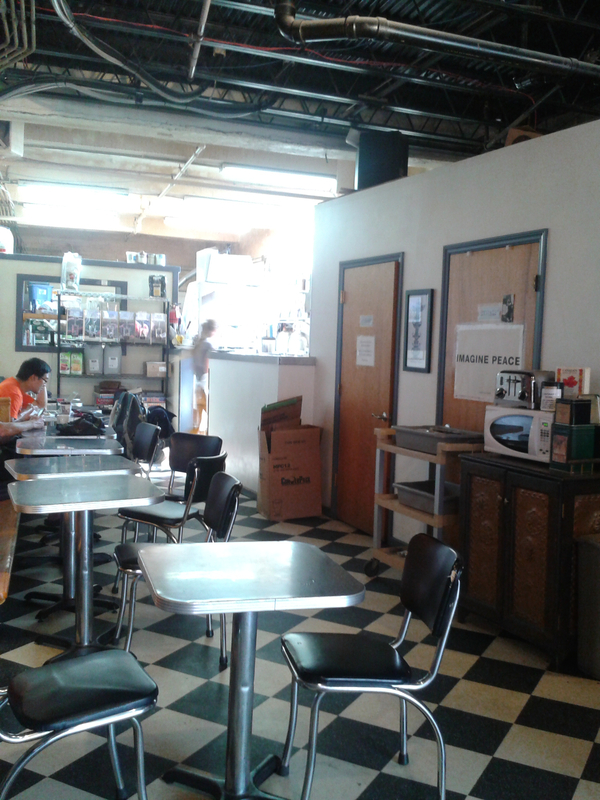 It’s my favorite for lots of different reasons: its long, narrow floor plan (I can hide at a back table for productivity, or sit up front for socializing — half the town, the interesting half, comes into Bollo’s). It’s my favorite because of their oat fudge bars, and the music (staff-chosen and thus never-the-same, and never canned), and the scattering of magazines (Food and Wine, Good Housekeeping, Gourmet, Traveler) and the long church pews that run down the western wall, and the exposed brick and the fragrance that floats from the back, of baking bread and Thursday there’s danish and Friday’s cinnamon rolls are the size of a toddler’s head. Mostly it’s my favorite because the mocha is a teensy bit different, every time I order it. Starbucks and other chains pride themselves on providing customers the same experience no matter where they are. A Starbucks mocha in Middlebury should be the same as a Starbucks mocha in Miami. And for the most part, it is. And I love all my mocha brethren, hallelujah. But in Bollo’s, depending on who’s behind the counter pulling espresso shots, I know I’ll get a subtly different drink. When it’s Yasmin, it’s perfectly bittersweet. When it’s Felicia, it’s perfectly balanced. When it’s Renee, it’s perfectly hot. Each of their mochas is perfectly perfect. Mochas are on my mind because the latest Poets & Writers has all sorts of information about MFA programs, and in my brief perusal of its articles and advertisements, I found myself thinking: the vocabulary used to market these programs could be the basis for an excellent drinking game. How many pages before we see the word deepen? Or inspired, supportive, strengthen, world-renowned, community, or distinguished? We’ll be tipsy before we get past the table of contents, and buying total strangers a morning-after mocha by page 33. It strikes me that creative writing degrees — or at least the marketing for them — are like a Starbucks mocha: excellent basic product but the same product, everywhere. I have a nagging suspicion that the marketing is, in part, aimed at people who write but don’t feel they can claim the title of writer because they lack an MFA. And/or because they’re not published. And/or because they have no desire to be published [gasp] — they’re writing for themselves or their families, so they’re not “really” writers. The list of reasons these folks aren’t writers is pretty long. If they have published but they aren’t famous, they’re not writers. If they have published but they don’t make any money at it, they’re not writers. If they don’t want to publish, it’s just a little thing I dabble with …. If they “just” keep a journal, they’re not writers. But what else to call someone who writes, who writes for their own reasons, who writes to discern their reasons, to name, to mourn, to celebrate, to untangle? In many ways, it doesn’t matter what brings us to the page or empty screen, or who will read those words. If we lay our words down across that blank expanse, whether we leave a faint trail of our selves, or a swath of trampled ferns, we’re claiming our place in the world, giving shape to our lives as writers. Now, if we want your words to resonate with an audience beyond ourselves or our families, we’ll probably have to work on the craft of writing — and there’s lots of good books for that, and non-MFA-affiliated groups. And MFA programs. Steve Almond has a lot to say about why MFA programs are a good thing. Writing is not a Starbucks mocha. It’s a personality-infused, slightly-different-every-time-but-perfect-every-time mocha. It’s what we make of it, not what anyone else tells us we should make of it. Write if you love to write. Do with it what you want. Make your very own mocha. This made me homesick. 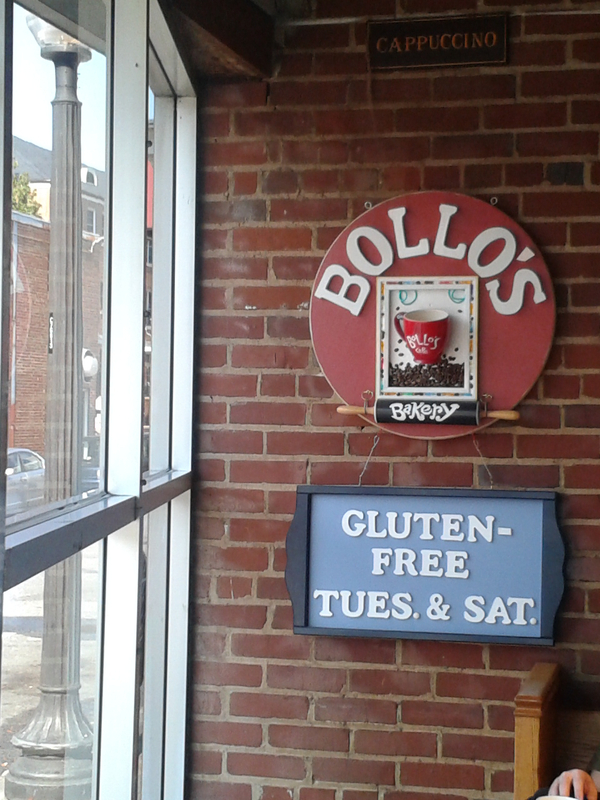 I need to get myself a Bollo’s hot drink and oat fudge bar – Stat! Love that line… make your own mocha! Yes….